Okay, here's the first post regarding my wedding preparation in Bali. Why the hotel? You may ask. It sounds so boring compared to venue, dresses, flowers etc. Well, the venue has been chosen long time ago. Dress wise, based on my experience, I think my choice is pretty stuck with either Annasul Y or Lusan Mandongus. Flowers, I guess I can consider that later. 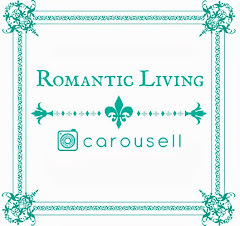 And I did share some ideas on flowers and decoration on my previous post. On the other hand, with only 2 months in hand, we pretty much need to invite our guests immediately. And guests need basic logistic info to make decision. 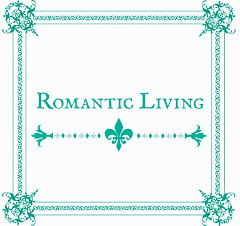 Anyway, once we confirmed with Tirtha Bridal that 12 Jan 2014 is available, I started looking for hotels for our guests. 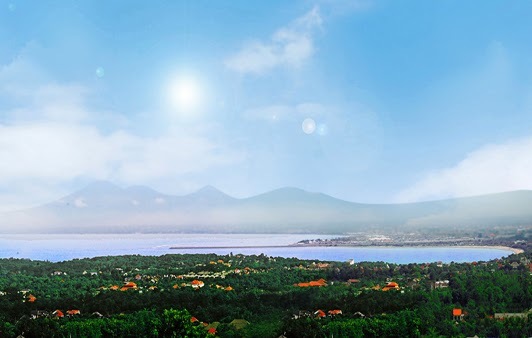 There are lots of hotel in Bali, from very basic to ultra-premium. Seminyak/ Kuta has the highest concentration and selection of hotels. 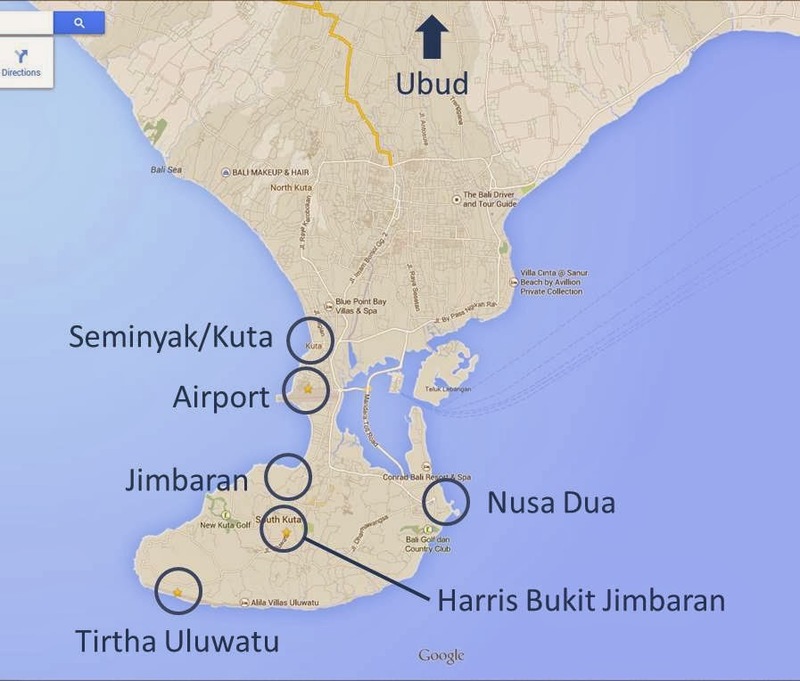 However, it's relatively north position and the notoriously heavy traffic between Kuta and Jimbaran means that getting from Seminyak/ Kuta to our wedding venue Tirtha Uluwatu will be a big hassle. In fact, according to one of my friends who stay in Seminyak and attended a wedding at Tirtha Uluwatu, she spent 1.5 hours on the road despite it is only estimated to be 41 min trip on google map. Given ours is a morning celebration, we don't want half of our guests being late or missing the ceremony, don't we? 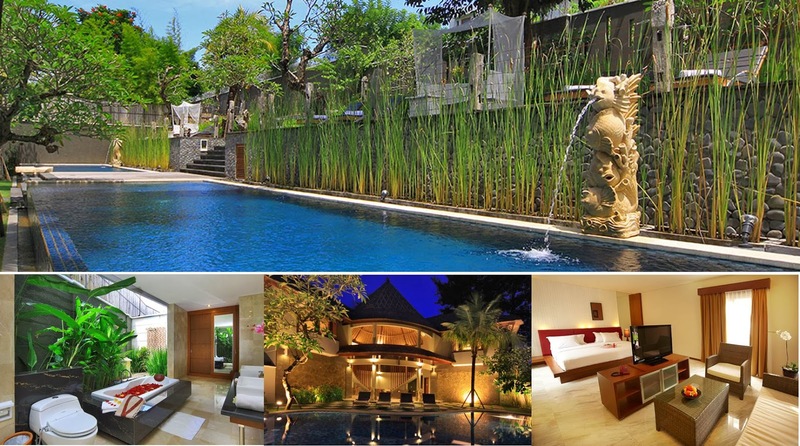 Previously we stayed in Abi Bali Resort Villas & Spa which located in Jimbaran. 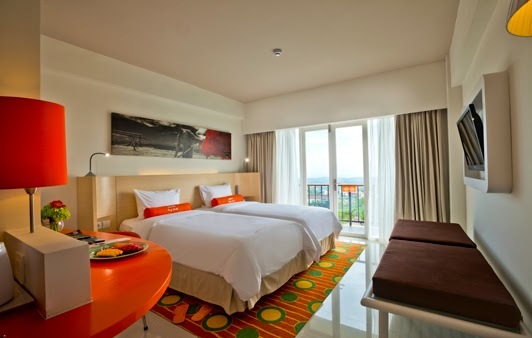 We really like the cosy Bali villa style and its spacious room. Room rate of around USD 100 per night was decent for what we get. And I especially like their open air bathroom design. It was so much fun and relaxing to shower under the sky. However, Abi Bali's manager is not responsive to our inquiry. We have sent multiple emails enquiring about possibility of group booking and group rate and they all went unanswered. As we can't wait for any longer, we move on looking for other hotels. We focus our search around Jimbaran due to its close proximity to airport and relatively closer proximity to other sightseeing destinations. However, if you and your guests are well-loaded and looking for a getaway from everything else, hotels in Uluwatu (Banyan Tree Ungasan, Alila Uluwatu, Bvlgari, Karma Kandara, Semara Villas) and Nusa Dua (Conrad, Westin, St. Regis) might be your choice. 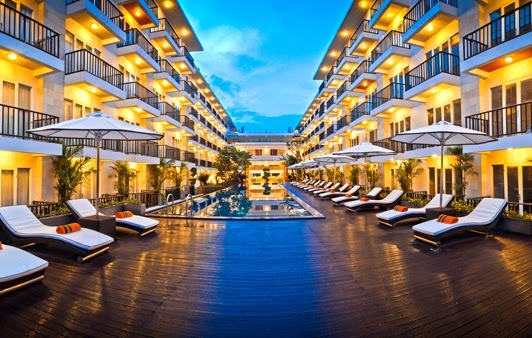 Jimbaran also has its own fair share of luxurious hotels such as Four Seasons, Ayana, Karma Jimbaran. But we don't think an ultra-luxurious hotel is necessary since the guests are going to spend most of their time at Tirtha Uluwatu instead of the hotel. 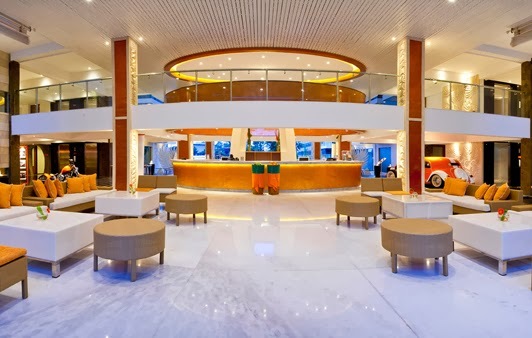 So as we go through the list at Tripadvisor, a relatively economical hotel pop up high in the ranking list among the luxurious brand name - Harris Hotel Bukit Jimbaran. Compared to other well-ornated Balinese villa, the architecture of Harris Hotel Bukit Jimbaran is pale in comparison. However, it is a new 4-star hotel with 200++ rooms and full F&B capacity, meaning that it will able to take it group booking and cater for 50 guests easily unlike some smaller boutique hotels. Rooms are modern, clean and basic. Nothing fancy but enough for a night stay for our guests. 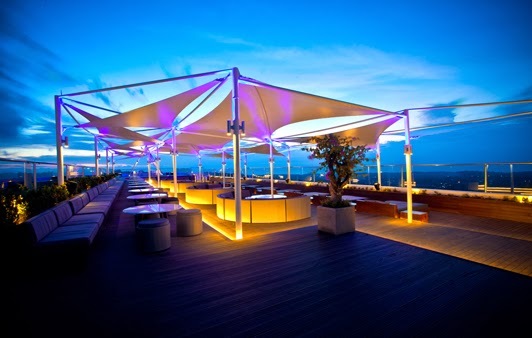 One of the highlights for Harris Hotel Bukit Jimbaran is their rooftop bar, which offer a fantastic view of Jimbaran Bay. We are planning to hold our welcome dinner here on the night before our wedding. I hope the weather is good then we would have an amazing sunset! And more importantly, the relative affordable price means that we are able to provide 1 night of hotel stay to all our guests. Something that we didn't think that we will be able to do it. I must say dealing with them is a breeze so far and I hope our stay will be as satisfying. For now, I need to go tally up all the information of the 50 guests who are going to check in on 11 Jan 2014!